So yes, Windows didn’t pick up the driver. So I used good old trusty google.com and searched for “Prolific Driver”. Hit the first result (that looks like the official Prolific Page: http://www.prolific.com.tw/US/ShowProduct.aspx?p_id=225&pcid=41) and downloaded PL2303_Prolific_DriverInstaller_v1.17.0.zip. To combat this, original Prolific company made changes to their newest drivers to render the counterfeit adapters unusable. Unfortunately this decision also renders all earlier adapters inoperative. The Prolific 64-bit drivers that Microsoft supplies via Windows Update, Versions 3.4.67.325, 3.4.25.218, 2.1.51.238, and 3.4.62.293 will not work with most adapters and therefore issues the generic “Code 10” error. However, if you didn’t have a previous driver installed that worked, you’ll have to go through the process of removing any PL-2303 driver installation programs,the actual driver files, and the information (.INF) file, BEFORE you are able to successfully install the correct driver. What aggravates this issue is that there are many “Prolific Driver Removal Tools” that do not work properly! And Windows 8, 8.1, and Window 10 are set by default to automatically update your drivers without your permission or even notifying you of the update. 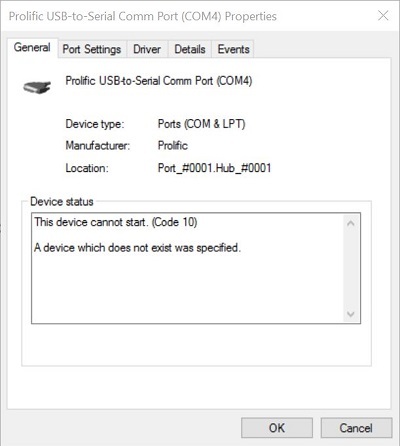 So no matter how many times you remove the driver files and reboot, the next time you insert the USB-To-Serial adapter, Windows installs the newest non-working version again. Yes, it’s frustrating. You can download PL2303_64bit_ Installer.exe. Virustotal report here. 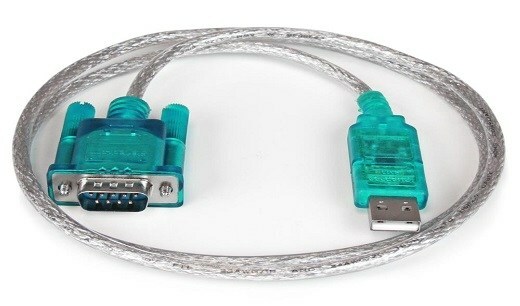 Unplug all USB to Serial adapters from your computer. You can download PL-2303_Driver_ Installer.exe. Virustotal report here. The Prolific 32-bit PL-2303_Driver_Installer is a “Program” file and therefore installed to your computer and must stay. If you want to delete it, use the Windows “Uninstall a Program” or “Add or Remove Program” feature, however this will also uninstall the driver itself.